Blackjack mistakes are seldom talked about. 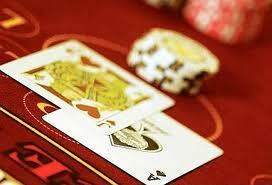 This isn’t due to a lack of interest in the game; blackjack is one of the most popular of all the online casino games. However, when people talk about the game, they usually discuss the different ways to “beat the dealer.” While it’s true that there are ways that players can lower the house advantage and increase their odds of winning, there are also plenty of mistakes that can be made and these can lead to a string of losses. This is why we’ve compiled a short list of the most common blackjack mistakes made by novice players. Simply by avoiding these blunders, players can substantially improve their chances for success. Following the Dealer: One of the most common of all the blackjack mistakes made at the tables is to mimic the dealer. Some players mistakenly think that if a certain action is good for the dealer then it must be good for them as well. This can be a very unprofitable path to follow. Copying the dealer basically involves always drawing cards to a 17 and then standing on any number beyond this. It also means that you would never split your hand or double down. Playing according to this faulty strategy has been shown to give the house a 5.48% edge. Hitting 13 on a Dealer’s 4: Whenever the dealer’s hand is weak it’s almost never a good idea to hit. This is particularly true dealer’s hand contains a 4. When this happens, the dealer has no other choice but to draw another card, and this makes them vulnerable. If you want to avoid making a very common blackjack mistake, put pressure on the dealer by standing whenever they are holding a 4. Dealer Shows a 10, You Stand on 16: Another common blackjack mistake occurs when players feel that if they hit on a 16, they are bound to lose. The truth is, when you’re in that position, you’re probably going to lose whether you hit or stand. This is particularly true if the deal is showing a 10. When this happens you’re far better off taking a leap of faith and hoping for the best. Sure, you’ll probably go bust, but isn’t it better to take a chance than go down without a fight? The Insurance Ploy: Once of the biggest of all the blackjack mistakes is taking insurance. It sounds like a great option to novice players (insurance is supposed to keep you safe, right? ), but experienced blackjack players would never take this option. When it comes to blackjack, insurance isn’t actually “insurance.” Instead, it is a distinct wager based on the dealer having blackjack. It has a house edge of 7.4%. Counting Cards: Counting cards is a tried and tested way to reduce the house edge and increase your odds of winning. When done properly, it’s a highly effective blackjack strategy. But, when done incorrectly, the results can be devastating. You need only fumble on one calculation to render the strategy completely ineffective. Blackjack mistakes such as this one can be easily avoided simply by being realistic when it comes one’s skill level. Blackjack can be a great choice if you’re looking for a game that offers a lot of winning potential. Just keep these typical blackjack mistakes in mind when you head to the tables and you be on the right path! Online gambling in Canada is about to change. Ladbrokes, one of the largest bookmakers worldwide, has announced that they will be leaving the Canadian market. Although Ladbrokes hasn’t indicated this specifically, it is suspected that new gambling rules in the UK are behind the British-based bookmaker’s decision to no longer participate in online gambling in Canada. Despite their relatively longstanding involvement in online gambling in Canada, Ladbrokes has announced to their members that they are leaving the Canadian gambling market as of October 1, 2014. Canadian players have 30 days to issue a withdrawal request. Furthermore, Canadian players’ bonus balances and winnings that are pending due to unsatisfied wagering requirements following this 30 day period will automatically be forfeited. 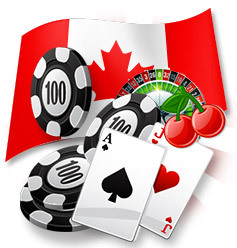 In terms of online gambling in Canada, Ladbrokes offers casino, sports betting, and online gambling. According to Ladbrokes, the decision to abandon online gambling in Canada follows a comprehensive review of Canada’s gaming laws by Canadian regulators. It’s unclear which “review” Ladbrokes is referring to here. In early 2014 the Canadian government indicated that they intended to enact legislative amendments that would further hinder money laundering and terrorist financing. For many offshore operators this new development in online gambling in Canada sounded eerily familiar. 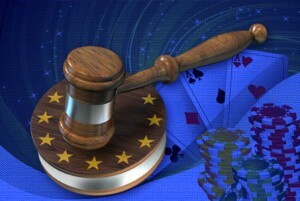 It hearkened back to the infamous Black Friday crackdown on internationally licensed casino operators in April of 2011. However, these amendments only affect licensed Canadian lottery operators, and therefore, Canada remains a primarily grey market in which operating an online gambling establishment without holding a license from the Canadian government could be interpreted as being illegal but is largely ignored by provincial authorities. Online Gambling in Canada: Mass Exodus? While unexpected, Ladbrokes’ departure appears to coincide with a recent trend wherein key UK-facing casino operators are leaving Canadian as well as additional foreign markets. And, although Canadian regulators may have contributed to this decision, it appears that recent amendments to UK legislation that are being implemented are more likely to have formed the impetus for this change. There’s been a fair bit of hullaballoo about the point-of-consumption tax that will soon take effect. This new amendment requires UK operators wishing to engage in the UK market to meet licensing, regulation, and taxation requirements. Previously, these were managed by white-listed, government-sanctioned international jurisdictions. Consequently, UK licensees will be required to supply government agencies with a legal justification in order to operate in markets where they don’t hold a specific license. This will prove challenging for gaming companies like Ladbrokes since only 0.5% of their total revenue comes from Canadian players. Meanwhile, William Hill, Ladbrokes’ biggest rival in the UK, has announced that, due to regulatory changes, they will be withdrawing from grey markets in South America and more than fifty other countries, all of which amount to one percent of their global revenue in total. Interestingly, Canada wasn’t included in this list. It’s too soon to tell how the changes to UK gaming regulations will impact the online gambling landscape in the long term. UK Operators will be faced with the decision to remain in familiar territory or take their chances in grey markets. Slot machine myths are almost as old as casinos themselves. Gambling in all forms is as popular as ever. If you need proof of this, simply drive by a land-based casino at almost any time of the day or night and you’ll find that the parking lots are loaded with cars. Then consider for a moment how many more people there are playing online thanks to the convenience of being able to play from home. Surprisingly, some people still seem to shy away from one of the most popular of all casino games. This is due to the fact that they have somehow fallen prey to slot machine myths. These are widespread myths that have plagued the game of slots for many years. Below, we’re offering an antidote to these slot machine myths in the form of some cold, hard facts. One of the most prevalent slot machine myths is the notion that slot machines can run hot and cold. Gamblers are a notoriously superstitious breed. Superstitions can take a variety of forms. Some involve wearing certain types or colors of clothing, some involve rituals like which doors to use to enter or exit the casino, and there are plenty more. 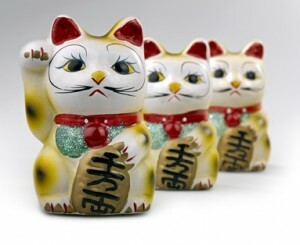 These superstitions aren’t just limited to slot machines. Most players firmly believe in hot or cold streaks in terms of the good or bad luck they might experience when playing not just slots, but also blackjack, poker, baccarat, roulette and virtually any other casino game. It’s ok if you want to buy into the “hot and cold” theory as long as the reason for doing so is because it makes the game more exciting for you. Because, in fact, there’s no actual basis for this theory whatsoever. There have been so many epic, life-changing wins that have come about through playing the slot machines that it’s not surprising that myths have developed. There’s clearly a lot of money to be made from slot machines. This is why the game is so incredibly popular. Some people try to cash in even further by claiming that they can tell you how to “beat the machines.” Don’t fall prey to this kind of manipulation by believing slot machine myths like these. Slot machines are called games of chance for a reason. There are some strategies you can apply to try and increase the amount of your winnings, such as looking for the best pay tables, but there’s no way to cheat the machines themselves. The outcomes are controlled by a computer chip and are truly random. The slot machine experience you get at an online casino is different than what you’d find at a brick-and-mortar casino. The online slot machine experience is a virtual representation of the real world experience. The look and sounds of the machine are meant to resemble that of their land-based counterparts, but they can’t match the excitement of the real thing. That being said, one of the popular slot machine myths is that you’re more likely to win when playing a land-based machine. The truth is, real slot machines are based on computer technology just like the online slot machines. In this way, the two types of machines are exactly the same. 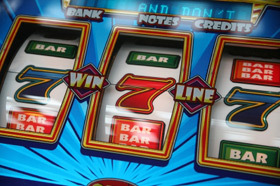 There are no short-cuts when it comes to online or land-based slot machines. Slot machine myths that might have you believing otherwise are simply stories that have developed over time. They have no basis in actual fact. 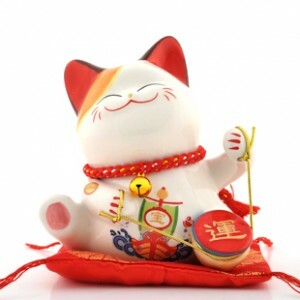 If you enjoy the entertainment value of these superstitions, there’s probably no harm. Just know that the games outcomes are completely random and no slot machine myths are going to change that. Online gambling forums are a huge resource for players and they cover a myriad of topics. Back in the early days of online gambling there wasn’t a lot of gambling information on the internet. Times have changed though and now you can find everything from “how-to” videos, bonus guides, strategy articles and information on payment methods, gambling news and much more. Some gambling forums are owned and operated by casino affiliates. 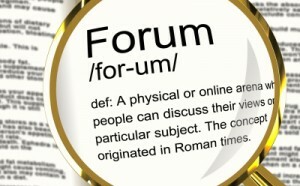 These forums may not be completely unbiased, but they can still be beneficial in many ways. Other portals can be owned and operated by players. These types of portals are the best as the information provided is often coming from gambling experts. 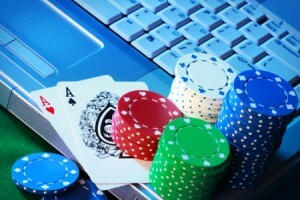 Online gambling forums are a great way for players to interact with one another and share a wide range of experiences. Online gambling forums are created to meet the needs of all kinds of players. They provide updated information on every type of gambling site. This includes, online casinos, poker rooms, sports betting, bingo and more. New players can get tips and strategy advice and more advanced players can enjoy benefits such as tournament information, free chip and special deposit bonus offers. For anyone new to online gaming, online gambling forums can guide you to the safest casinos to play at and the ones that offer the best service. Players often worry about being cheated so having experienced gamblers sharing their experiences is an invaluable resource. Inexperienced players have an opportunity to post questions and concerns in the online gambling forums. Professional webmasters and gamblers will often provide meaningful advice that will help new players enjoy their gaming experience with confidence and peace of mind. Online gambling portals are a great place for experienced gambles to share stories, strategies, and tales of their “big wins.” They are equally good for pointing out places that should be avoided. They can help to identify online casinos that fail to pay their players, or pay too slow, or simply do not offer a reasonable level of customer service. Similarly, the can identify the most trustworthy casino websites, the best casino software, as well as the most competitive bonuses, tournaments, and contests. Through sharing experiences, players can use online gambling portals to help regulate the practices of online casino operators and hold them to a higher level of accountability. This makes for a safer and more responsible gaming community as a whole. Players can participate in several different online gambling forums as the same time. By doing so, they can benefit from the best information each one has to offer. If you find yourself in a dispute with an online casino you can always take your grievances to the forum moderators as they often have contact with the higher levels of the casino’s management team. Before you register to play at any online casino it’s a good idea to visit at least one or two online gambling forums. Even if you just want to read what the other members have to say, it will give you a better understanding of what to look for, and what to avoid as you begin your online gambling adventure! US online gambling has existed since the early days of the internet. And, while the number internet gambling sites has been consistently on the rise since the mid-90s, recent headlines give the perception that it’s a relatively new industry within the United States. For almost twenty years politicians and enforcement agencies have battled with casinos over whether or not US online gambling is a legal and moral form of entertainment. It was only in late 2013 that Congress allowed the first steps towards the regulation of this highly lucrative industry. Delaware, New Jersey, and Nevada have now been officially sanctioned to offer online gambling services within their borders. These online casinos offer the same games you would find in a brick-and-mortar establishment. Online gambling revenues in New Jersey alone are expected to exceed $2.5M in 2014. The path to regulation hasn’t exactly been smooth and while there are still many who are opposed to it, other states are keeping a watchful eye with a view to joining in on the action. Opponents claim that US online gaming sites encourage addictive behavior by making it too accessible to players. Ironically, one of the most outspoken opponents is none other than Sheldon Adelson. This is a man who amassed a huge fortune as owner and operator of land-based casinos. Despite their claims to the contrary, there are many reasons why US online gambling is safer than frequenting a local casino. Below you’ll find the top three reasons why this is so. Studies have shown a big increase in violent crimes, car theft, and larceny in communities that play host to land-based casinos. Casino patrons are an easy mark for criminals. They often have cash on hand, and may have had too much to drink at the tables. Tourists are particularly vulnerable due to the fact that they are likely unfamiliar with their environment. These issues are not a factor when it comes to US online gambling. There won’t be any waitresses trying to ply you with free drinks. When you play at a US online gambling website you have complete control over your environment and your money is always safe and secure. Land-based casinos make more money by keeping players at the tables. Every element of the casino is designed to achieve this goal. Fresh air is pumped into the rooms to keep players alert. There are no windows and lights are dimmed so you can easily lose track of time. You also have to walk through a maze of walkways to find an exit and these walkways are lined with flashing slot machines that serve as a last-minute temptation. When playing at home games can be stopped with a simple click of the mouse. Of course there will always be those who struggle with personal willpower. For this reason every licensed US online gambling site provides valuable information for anyone who may have difficulty knowing when to walk away. There’s no question, however, that it’s far easier to close a browser than it is to find your way out of a brick-and-mortar casino whose main objective is to keep you at the tables. The atmosphere at a land-based casino is intoxicating. It’s almost impossible not to be seduced by the flashing lights and sounds of the slot machines. It’s also hard to refuse the complimentary drinks brought right to your seat. The excitement of the crowds is contagious and it’s extremely difficult not to get swept away. When you play at home you control your environment. If you have any concerns about losing track of time and playing too long you can set an alarm to limit your play. At any time you can get up and talk a walk, get a snack, or just take a break. You’re far less likely to get caught up in the fantasy when playing from home. And, should you miss the social aspect of traditional casino gambling you can always try live dealer or multiplayer games to enhance your US online gambling experience. Renowned UK online gambling destination, Ladbrokes, has joined forces with Paypal, the premier online payment system. Paypal will be integrated into the bookmaker’s mobile platform. This marks the first time that online gamblers will have the opportunity to use Paypal to fund their accounts. These funds can be used to wager on sports and casino games such as blackjack and poker. Sports betting is a huge attraction right now thanks to the widespread popularity of the World Cup. But this spike in activity is seasonal. A more long-term increase is expected thanks to this new partnership between Paypal and Ladbrokes. The fact that Paypal is so widely used and trusted means that players are sure to flock to the online gambling establishments that offer this payment solution. Paypal has a long history and previous partnerships with huge online entities like eBay lend even more credibility to the brand. 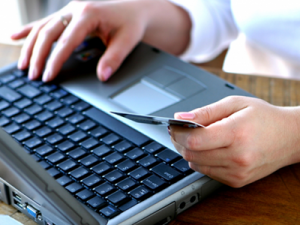 Online gamblers appreciate the convenience payment solutions like Paypal provide. They also appreciate the anonymity. When you use Paypal, no personal financial information is provided to the online gambling establishment. The integration of Paypal into Ladbroke’s mobile platform is one of many recent upgrades that have been made to the bookmakers’ site. Ladbrokes has implemented a number of changes in an effort to upgrade the online gambling user experience. One of these new features is a faster loading speed. This enhancement is particularly timely given the urgent need to support World Cup wagering and results. Research indicates that at least one third of UK residents use Paypal exclusively when conducting online purchases. These studies also suggest that these users rely on Paypal heavily. Mobile applications represent big business in the United Kingdom due in large part to the widespread availability of 3G and Wifi access. Paypal’s interest in the partnership with an online gambling mobile application is indicative of the growing popularity and rapid adoption of such applications by the general public. Paypal will be a very appealing option for online gamblers in the UK. These players will no longer have to make a special trip to their local bookie in order to wager. This not only saves precious time, but also serves to protect the player’s privacy. With Paypal, players are never required to expose their valued financial information to an unknown third party. Paypal features built-in security that ensure all members have a safe environment in which they can deposit and transfer their funds electronically. Paypal’s long history of providing safe and secure transactions has made them the undisputed leader when it comes to online transactions. In many cases, players choose online gambling over land-based casino gambling because of the level of convenience it provides. Consequently, the partnership between Ladbrokes and Paypal makes perfect sense. Through this partnership, online gambling enthusiasts can enjoy the safety and security as well as the comfort and convenience of mobile gaming. When it comes to online gambling laws, it’s the player’s responsibility to familiarize themselves with the legislation on both a state and a federal level. Historically speaking, each state regulated all forms of betting within their borders. However, because these regulations differed to a large degree, Congress took control over the statutes pertaining to interstate commerce. The majority of these laws were enacted before there was such a thing as online gambling. Over time, online casinos became more popular and widespread. Most of them are established overseas, which has made it extremely difficult to enforce any violations of online gambling laws. This is the best way to avoid any United States law that regulates online gambling. Because the United States lacks the authority to extradite in these cases, there is no feasible way for them to enforce these laws offshore. Consequently, online gambling is considered to be a bit of a grey area in terms of the law. For example, although online wagering is technically prohibited throughout much of the US, the fact that the casino operations are based outside of the country make it virtually impossible to prosecute, let alone convict, individual players. There are more than 70 countries that allow online casinos to conduct business within their borders. This includes Australia, South Korea, Finland, Denmark, Germany, France, parts of Canada, and New Zealand. When you decide to register as a real money player at one of these online casinos you will be required to accept the casino’s terms and conditions. Part of these terms and conditions generally state that the player “warrants and represents” that they meet the legal age of majority requirements of the state in which they reside. Furthermore, the player must accept the responsibility for determining is legal within their state borders. In the event that gambling is illegal, any winnings could potentially be forfeit. The US Wire Wager Act makes it against the law for any other country to transmit bets via electronic wire (including the Internet) to areas where gambling is prohibited. This means that if a casino operating from the United Kingdom allows a US player to wager on their games, they are breaking US online gambling laws. The reality is, however, that the United States doesn’t actually have the authority necessary to prosecute someone from another country. Since players are seldom ever prosecuted too, the Act is, for the most part, pretty unenforceable. And while this may seem like good news, the downside is that should one of these offshore casinos decide to steal a player’s winnings, the player won’t have the option to sue the casino if the online gambling laws state that it is illegal in their home state. Regulated casinos within the United States is a very new phenomenon. There are currently just three states in which online gambling is completely legal: Nevada, Delaware, and New Jersey. These three states are required to follow very strict guidelines and meet all necessary regulations to ensure that the online casinos don’t violate the law. Gamblers who play at these licensed casinos can be assured of fair odds and prompt payment of any and all winnings. Online gambling laws are evolving all the time and will continue to do so as more states come online. Players who have questions about the legality of online gambling in their jurisdiction are encouraged to consult a reputable source.